At Cheap-Neckties we pride ourselves by providing neckties, bow ties, pocket squares, and other menswear accessories at affordable prices. You don’t have to break the bank to look good and we’re here to help! We have a huge selection of neckties for $5. Within this price range are solid, stripes, plaid and more, all made from a microfiber material. Being a durable material with stain and wrinkle free properties, microfiber neckties are a great option for large groups or events and will remain sturdy for years to come. Some of our return clients happen to be churches, schools, uniform apparel companies, and restaurants. 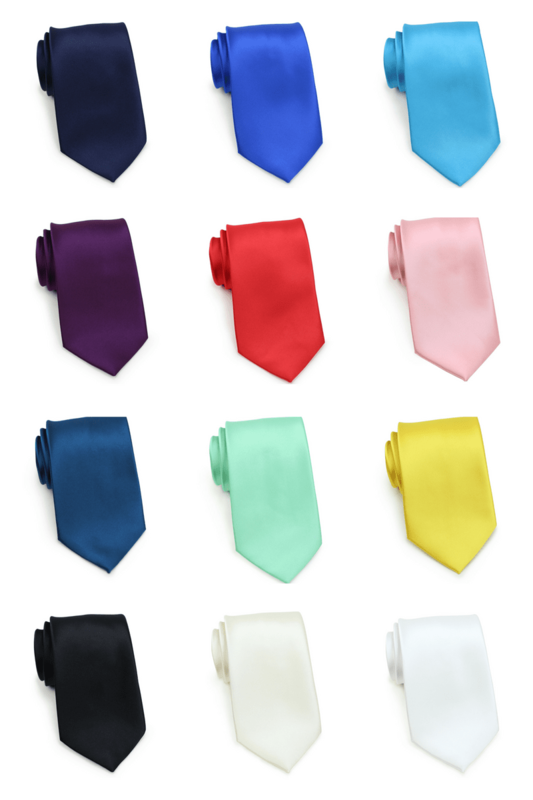 Above are twelve of our best selling solid microfiber neckties available for $5. See all of our $5 items here. Our customer support team is happen to help should you have any questions regarding color or quantity for your bulk order! Looking to get your own logo or design created? We produce custom neckties, bow ties, scarves, etc. for quantities of 50 or more. See our recent custom jobs and contact us for a free consult!